Jen and I got married on Saturday! Which means as well as spending the rest of my life with the girl I love, we have the perfect excuse to go on an awesome holiday and start our married life as we mean to continue. Before I get onto the honeymoon, I’d like to say thank you to our friends and family, we have been humbled by their kindness and generosity and were so glad that they were able to share our special day with us. California is a trip we have talked about for a long time and felt like we could treat ourselves for the honeymoon. We’ve hired a car (Dodge Challenger) and will be driving from San Francisco to Los Angeles, then Las Vegas and back to San Francisco, where we will spend a few days in the city. As we are also hoping to fit in some surfing it is a similar format to our first holiday together- a road trip/city break in the Basque area of France and Spain, when we’d only been together for a matter of months. 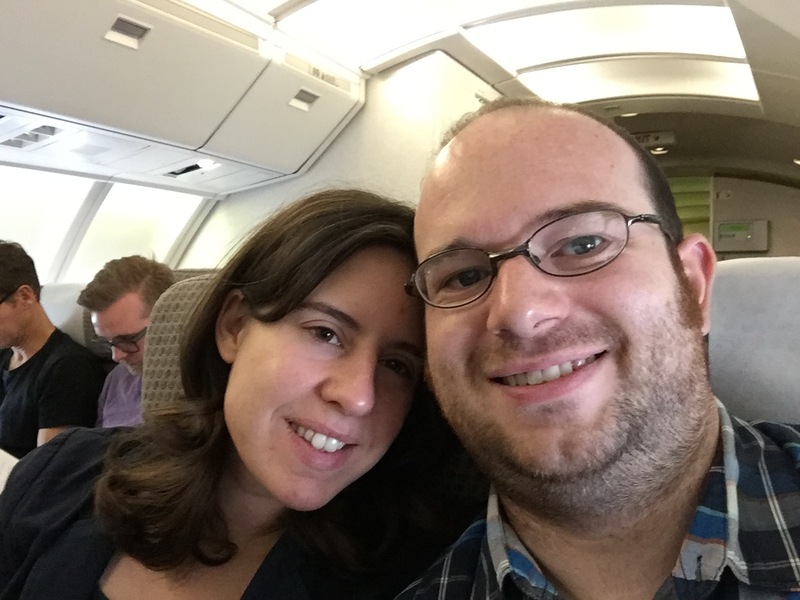 We had a long day of travel to get from Coventry to Monterey – 20 hours door to door! My highlight being the decadent breakfast at Heathrow – pancakes, egg, bacon, sausage and a glass of Buck’s Fizz. Well, we are on honeymoon! We were pretty tired on arrival in Monterey, but found the energy for a walk to Fisherman’s Wharf for a tasty dinner at one of the many seafood restaurants there.